It’s a short drive down Route 1, and a confusing interchange to I-76 West, then a turn south on 476 until a short drive down Lancaster Ave that brings you from La Salle University to Villanova University. Or the opportunity to expand the horizons of your history undergrad with a graduate degree in English ­– that could bring you to Villanova from La Salle as well, especially if the former offers you a very fulfilling graduate assistantship at their campus library. 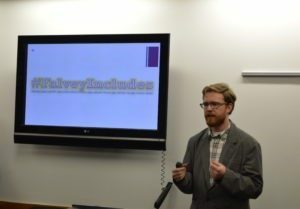 Here’s me presenting our Diversity and Inclusion Resource Guide idea at Pitch Day, 2017 – one of my favorite memories here at Falvey. When I think about how far some of my fellow graduate students have traveled to be here at ’Nova, I often feel blessed to have had such a minor change in location and studies. I usually have this thought when I park my car over at the Law Garage and start my walk toward Falvey. In fact, I’ve come to see this stroll from west campus to the library as a metaphor for my experience here at Villanova. As I set out down route 1 from La Salle, so every morning I start walking down the hill from the garage to the train station. 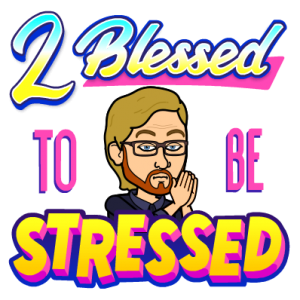 As I started my studies here at ’Nova, so too did I feel pulled heavily downward toward readings and papers more difficult than any other I’d yet read or written. Little did I know how quickly things could change. 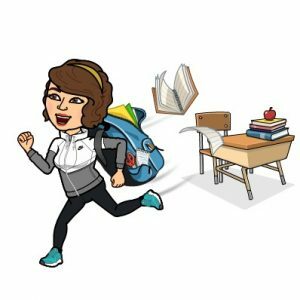 In one very, very short year, I found myself adapted to the workload, and the downward movement leveled off. My morning walk levels off in the halls of the underground SEPTA tunnel. In my studies, I too ended up in a strange land – albeit a much more scenic one. During the summer between my first and second years, I enrolled in the Abbey Theatre Summer Studio Program. In the course of an MA, I somehow found myself in totally unfamiliar territory – writing a play of all things. My initiation felt somehow complete. Many thanks to everyone who has helped me along the way so far, here at Falvey and beyond. From here began the uphill climb to the thesis and, ironically enough, the library. Every workday I reached Falvey with the same sense of pride and accomplishment that accompanied my acceptance to Villanova. This morning, as I make this walk for a final time, as I feel the weight of my thesis removed, this is a sense of accomplishment that I’ll never forget. I found my way here a determined explorer, and I arose a Wildcat. Yesterday evening, Ariel Levy visited Falvey’s Speaker’s Corner. She talked at length about her new book The Rules Do Not Apply and her writing process generally. I myself had just read The Rules Do Not Apply in preparation for her visit and have one selection that I’d like to focus on for this week’s ’Cat in the Stacks. Levy speaks in front of a jam-packed Speakers’ Corner. Early on in the memoir, before describing her rise to prominence as an author, her miscarriage, and her difficult marriage, Levy posits, “Daring to think that the rules do not apply is the mark of a visionary. It’s also a symptom of narcissism.” I wanted to take some time to dwell on this quote because of it’s powerful message for me as a graduating student, for undergraduates, and for Falvey Memorial Library. I’ve always seen myself as transgressing the normal “rules” laid down for our generation of college students; instead of majoring in business or communication as an undergrad, I chose to study history, English and French – they seem so “antiestablishment” somehow. I decided early on that I’d study what I really enjoy, not what might have the best material payoff. Overlaying Levy’s quote on my own life, I’ve come to realize in the last year or two that coloring outside the lines requires knowing how to color first. Allow me to explain in terms of the undergraduate experience. Whether you major in marketing, religious studies, English or engineering, you have probably thought of how to make it on your own, to discard the rules and live on your own terms. Well, Levy’s quote – and indeed her career – shows us that this lifestyle is possible, BUT, if we come at it from the wrong angle, we may seem to all the world like narcissists. We have to learn the foundation of our field before we can construct something entirely new, something visionary. 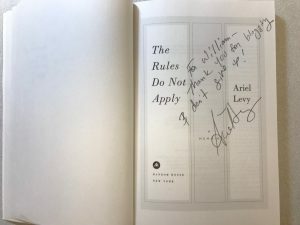 Levy was even nice enough to leave some writerly advice in my copy of her book! So, Villanova has become one step in your journey toward “daring to think outside of the rules.” With your liberal arts education, you’ve become prepared to tackle some of the biggest challenges of our time – where do you go next? Enter Falvey Memorial Library. Within the databases and stacks, you’ll find the mastery you’re looking for; in the Idea Accelerator, you’ll find a staff of thinkers ready to help you shape your thoughts. Here, we will all team together not to make you rich but to enrich your humanistic ideas. A few weeks ago, I brought you a ’Cat in the Stacks about our new Diversity and Inclusion Resource Guide and encouraged you to implement the ideas of diversity into your own life. 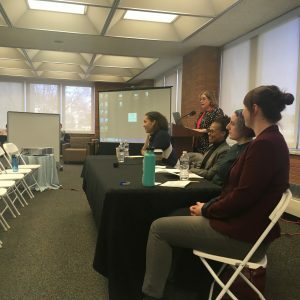 Well, yesterday at Falvey we hosted a panel titled “The Language of Race and Gender in 2018,” featuring Sonia Velasco, Brighid Dwyer, and Dr. Terry Nance. In light of this event, I wanted to revisit the topics of diversity and diversifying. In my earlier post, I talked about the importance of both educating oneself about and interacting with other cultures, but I also pointed out the ways we can diversify our own lives to aid in personal growth. I’d like to turn presently toward the lessons of our panel to continue that same line of thinking, starting with Brighid Dwyer’s message that the language of diversity changes, i.e., words we used five years ago might not carry the same connotation today. This message drastically deepens our personal understandings of diversity and inclusion – as both a field of study and its practical implementation. For me, this means that some of the messages I learned about these topics even at the beginning of my undergraduate years might not be up-to-date. For you, it might mean that words or phrases that were acceptable during high school have developed a new connotation – meaning (a) you should be sensitive to how you’re saying things and (b) you should always seek out new sensitivities. I would say also that this perspective on change should affect how we look at diversifying our own lives. Just because something was normal for us five or ten years ago does not mean that it’s normal now. For example, ten years ago it might have been different for me to take an entire day to read. Nowadays, as a graduate student, it’s a break from the norm to take some time off to socialize. Keep this constant change in mind when you think about diversifying your own life – be it by meeting new people or changing your routine. This all ties back to a message that Dr. Nance gave at the event; different does not equal negativity. This message applies to our language and our personal lives. Just because someone says something differently from how we say it, does not necessarily imply something negative. It’s often worthwhile to learn their point-of-view to improve our own sensitivity (and sensibility!). In your personal life, trying something new has two outcomes: either you enjoy it or, well, not so much; it’s not always negative, so you might as well experience it! University Librarian and Director of Falvey Memorial Library Millicent Gaskell introduces the panel. Dwyer also left us with another inspiring message: it all comes down to constant engagement, constant learning and constant reading. We can help you with all of those things here at Falvey. You can visit our Subject Librarians, our stacks, or even the Diversity and Inclusion Resource Guide to engage, learn and read all about diversity and diversification. What a whirlwind book it has been, Nova Nation. Our team won the NCAA National Championship a little over a week ago now, spring seems to be finally arriving and we’ve been celebrating National Library Week here at Falvey. 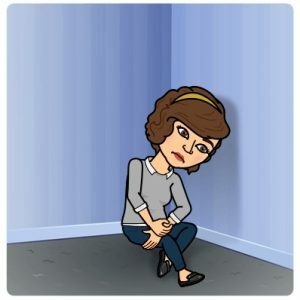 Nursing those championship hangovers, while looking forward to what’s next, and trying to appreciate the time and place of the present can be hard work separately – let alone all at once! Hunter has found time to both celebrate and zen out! Have you read her weekly column, PATW? We should all be veterans at recovering from a championship celebration. I mean, with the Eagles celebration just behind us, as well as that other NCAA basketball championship and a Flyers Stanley Cup almost certainly on the horizon, how could we not be, here in the city of champions? But getting back on track after the emotional highs of such a great run can still be tough. If you need a little quiet zen before your amazing run to the end of the semester, make sure to stop by one of the library quiet spaces and rediscover your productive side. Spring offers other opportunities for finding moments of zen. We can finally get outside a bit and enjoy the sunshine, enjoy some outdoor activity, or even discover some new quiet section of campus to hunker down and read. Spring also brings with it new events here at the library. Whether you need some final paper inspiration or simply want to learn about something new, visit our events page and come hang out with your fellow Wildcats, professors or the members of the Falvey Memorial Library Communication and Marketing Department. Speaking of that wonderful department of marketers and communicators, did you know that this week is National Library Week? We like to remind our visitors every day of how Falvey tries to establish itself as a leader, at the heart of the campus community, but this week has been set aside to celebrate this fact about all libraries. 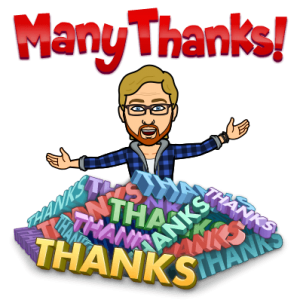 So, whether you come into Falvey or your public library back home in the next couple of days, make sure to stop and thank a librarian for all they do. Speaking on behalf of those librarians here at Falvey, they truly do put their visitors first and make sure you always have the materials you need on hand. It was my birthday yesterday! 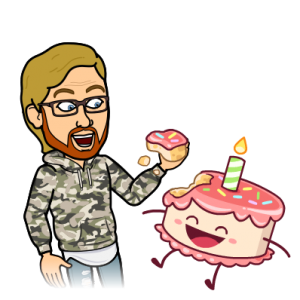 While you might think it was my first from this illustration, I actually turned 24. What?! One of my favorite parts about the springtime is seeing the population on campus ostensibly double as students head back outside to spend some time. The whole Comm. and Marketing Department at Falvey loves bringing you engaging events, and you can always feel free to reach out to us with comments (use the comments below!). Our librarians look forward to hearing from you too as the semester winds down. Consider all three of these things your Gatorade, greasy food, and ginger ale for that Championship hangover! It’s supposedly spring, ladies and gentlemen. It’s also snowing, cold, and I have yet to see anything bloom. Weeks like these can hamper our productive energies, especially because something long awaited ­– springtime – seems to be putting us off a little longer in favor of chillier climes. This week’s ’Cat in the Stacks will feature some advice about trudging through these last few cold days. 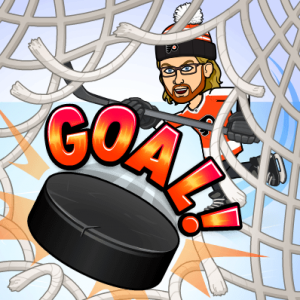 “Peek at the Week” author Hunter Houtzer hates the cold weather so much that she has been sending me this bitmoji every hour on the hour with the caption: it’s still cold. Personally, I love the cold weather! This is not the majority opinion. Getting through these last cold days for me involves me drinking coffee and watching the snow, happily clearing the snow off my car, and settling into my desk and writing. In my mind, it’s all very picturesque. For others, the picture is much dimmer. Cold days bring long periods stuck inside with local businesses and places to go closed down. Brightening the mood involves using mood lighting or altering settings on screens to a warmer filter. As always, though, Falvey Memorial Library offers options for those fed up with being stuck indoors. First, you can head on over to the Falvey and hide away from the chilly weather. We’ve prioritized making our study spaces inhabitable for students, e.g. the Dugan Polk Family Reading Room and the new furniture in the First Floor Lounge. Come on in, grab yourself a soup or sandwich from Holy Grounds and watch some of those last few cold hours disappear. While I’m flying high on the cold weather, I should let you know that we launched our new Diversity and Inclusion Resource Guide last week. Second, if stepping out again into that frigid weather has become simply unimaginable, curl up with one of our eBooks, or get done some of that research from afar using the databases. (You can even chat with a librarian using the library’s website!) 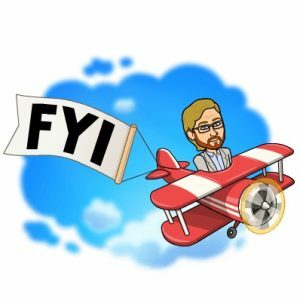 You can also keep up with library happenings via Twitter or Facebook, and, while you’re at it, let us now how you’re passing the last few cold days of the semester. This week has been all about diversity here at Falvey, as we launched our new Diversity and Inclusion Resource Guide. 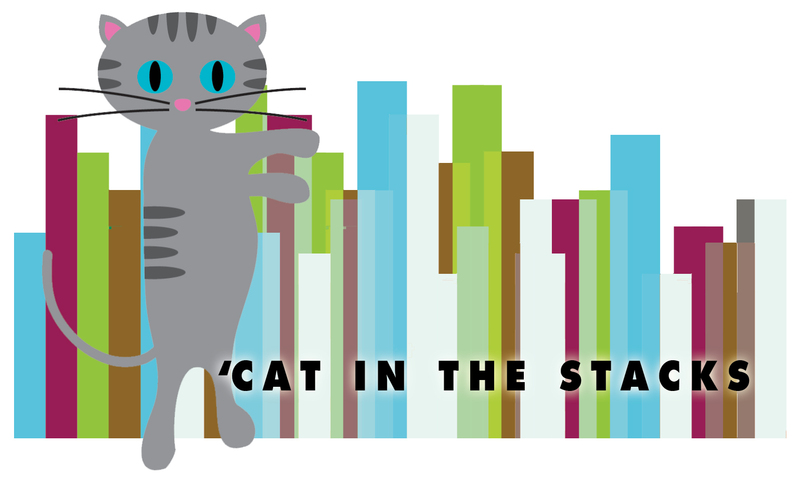 As you know, ’Cat in the Stacks is all about connecting events here at the library with some tiny piece of personal advice. 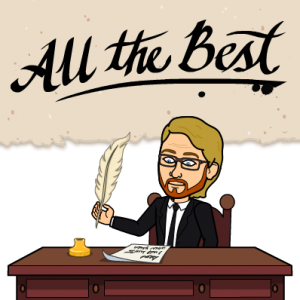 Well, I’d like to use this week’s column to talk about diversity both in terms of within a community and also as diversification within our own lives. 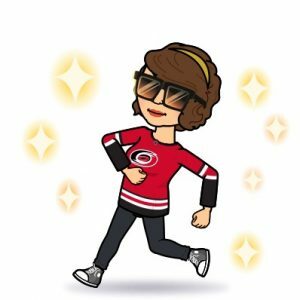 I helped Hunter change up her routine by inviting her over to watch hockey. Her team changed things up by beating the Flyers. Diversity within a community isn’t important in only some abstract, distant way. The allowance of oneself to encounter voices and personalities that come from some other background is important because it enables that individual to grow. Think about it; how can people gain a truly comprehensive point of view if they surround themselves with only voices that reinforce their own way of thinking? Being diverse has another implication though doesn’t it? As in: simply showing a degree of variety in how we approach the world. At this time in the semester, we can become stuck into a routine. We’ve figured out, or so we think, the most efficient way of doing things, and the days/weeks start passing by with increasing speed. Falling into this routine can stunt growth as well, as we begin to see the everyday through a narrower and narrower lens. So here’s my advice for this week’s column: do something different! Talk to someone who you don’t think would share the same point of view as you. Alter your routine – even if it’s something as simple as walking a new route across campus to class. These small things can help you see the world in a new light. The advice is my favorite part of ‘Cat! I changed things up by wearing an out of town jersey. 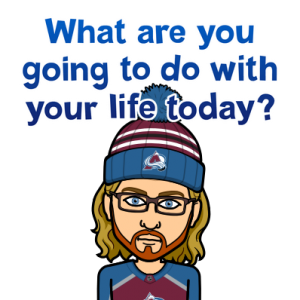 “Why the Colorado Avalanche?” You might ask. My sister made the biggest change of them all by moving out to Colorado from Philly this week – You go, sisterski! Here at Falvey, we are always here to help you with diversity. Whether you want to experience resources by, for or about underrepresented voices via the Diversity and Inclusion Guide, or you simply want to change things up and study in a new locale, the faculty and staff at Falvey are here for you. You’ll find a very special edition of a throwback Thursday below. 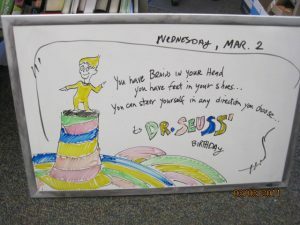 Director of Communications & Marketing Joanne Quinn drew this particular cartoon on Dr. Seuss’ birthday, Mar. 2 (tomorrow! ), way back in 2011. I came across this drawing in the catalog while I was thinking about how to piece together this week’s post. As it so turns out, this particular cartoon is as relevant now as ever to our place in the semester and our place in life. “You have brains in your head,” begins the quote from our cartoon, which qualifies as one of those thoughts that seems so readily obvious that we rarely take the time to think of it. We, of course, all have brains in our heads, and, at this time in the semester as we wrap up midterms week, all of our brains can feel like mush. No matter the places you’ll go this spring break, make sure to rest those brains up and come back to us at Falvey refreshed and ready for the semester’s final weeks. “You have feet in your shoes,” the poem continues, but those dedicated few among us going on service trips would remind us to read it as “you have shoes on your feet.” A quick visit to the Mission & Ministry website will show you that Villanova students will be going as far away as Ecuador, as nearby as Philadelphia, south to Texas or even out west to California to perform various types of volunteer work. These students embody many aspects of the Villanova mission, and we here at the Falvey wish them the best of luck on their travels this break. “You can steer yourself in any direction you choose…” closes this selection. It also serves as an excellent mantra for your spring break meditations. 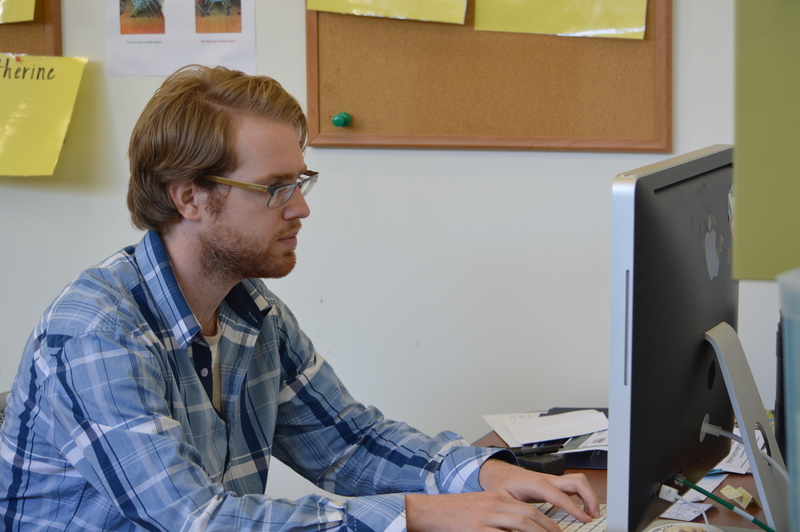 Spring semester is roughly half over – and actual spring will be starting soon – so there’s still time for change. 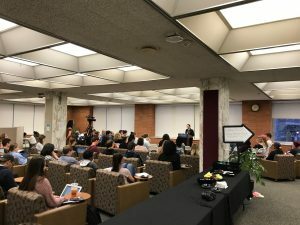 Perhaps you were hoping to be more social this semester, and you haven’t quite done that, or maybe you were reaching for higher grades and haven’t achieved them so far. Luckily, with time to go yet, you can steer yourself in any direction you choose. I’ll be at my desk preparing all week, but I promise to write! Here on ’Cat in the Stacks and at Falvey, we’ll be here to help you navigate no matter the direction you choose to steer. Keep up with us here on the blog, or follow us on Twitter and Facebook as we bring you innovative and welcoming programming and events as well as engaging content online. Am I wrong or have sports and athletics increased their presence in the atmosphere since the Eagles won the Super Bowl? On the national level, the Olympics are in full swing. Campus is abuzz with the performance of a truly phenomenal basketball squad. Yes, it would seem sports have infected our daily lives, and they seem to be metastasizing. 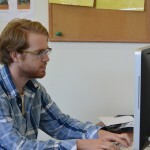 Now you might be thinking, “’Cat in the Stacks’ is not a sports blog, William! 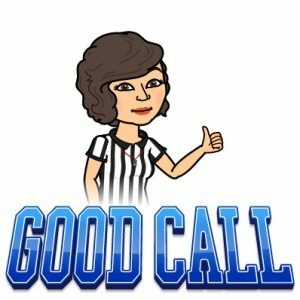 What are you going on about?” Well, I’d like to use our current collective fascination with sports to talk about college life and the role of Falvey in helping you reach your full potential. All of the athletes who grace our television screens began their careers with a simple choice: to go wholeheartedly toward their goal. Along the way, they reached various plateaus, and, no matter how much climbing the next plateau required, they reached and reached until they got the call to represent their university, city or nation. Success here at college works the same way. You dedicate more and more time and effort to a particular topic or craft and jump from level to level with increasing difficulty until you get that offer to become a young professional. 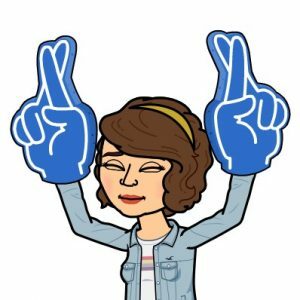 In this similarity lies my advice for this week: make that decision to wholeheartedly pursue your goal, Wildcats – whether it’s your major, that volunteer work you’ve been doing or even if you’re on a sports team too! You can even work wholeheartedly toward all three if you’d like, as long as you find it fulfilling. If you dedicate yourself enough to something, you might even shatter your goals! Enter Falvey Memorial Library. While athletes have trainers and coaches to help them jump from plateau to plateau, as students you have Falvey. Look at our databases and stacks as your playing field, our entire staff – from Access Services to subject librarians to bloggers – as your coaches and trainers. We’re here to help you to that next level, so you too can achieve your goals. Did you know that part of what makes Falvey Memorial Library so unique is our love of popular literature? We have popular books of the present as well as dime novels of the past. We, of course, have criticism for your scholarly pursuits and, most relevantly for this week at VU Theatre, we love our comics! Although not derived from an adult comic per se, [“The Simpsons”] was touted as ‘the first ever adult cartoon’ and was created by a former alternative press cartoonist (Matt Groening). Though often extremely amusing, it was over-praised by critics, and not as innovative as its PR made out, amounting really to little more than The Flintstones with a dash of satire (not that there was anything wrong with that). The cover of VU Theatre’s “Mr. Burns” Playbill. I find this quote curious because for appearing in a book that seeks to promote the serious study of comics and cartoons, this selection seems to diminish the cultural import of both “The Flintstones” and “The Simpsons.” Can it really be true that one of the most iconic families in recent American history – a family that spawned such staples of our irreverent television diet as “South Park,” “Family Guy,” and “Bob’s Burgers” – was over-praised by critics? 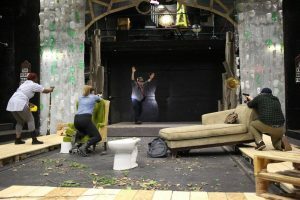 Let’s take a closer look at VU Theatre’s production of “Mr. Burns, a Post-Electric Play” and then return to this very question. Act I opens with an important debate between four friends – what exactly did happen in the “Cape Feare” episode of “The Simpsons?” A stranger arrives to help fill in the gaps (Leo Bond), and within the conversation, we learn that our characters inhabit a a post-apocalyptic world brought about by the catastrophic failure of America’s nuclear power plants; were there 100s of them, or really only, like, maybe 20? A stranger approaches the main characters. Matt, one of the four friends, portrayed by Lee Stover, steals the comedy of this first act, wavering between clarity and confusion as he recounts “Cape Feare.” Brishen Miller, retaining the quiet suspiciousness of his character in “Intimate Apparel” as Sam in“Mr. Burns,” silently moderates the act’s debate from a pallet off to the side. Sisi Wright and Tara Demmy, who play Maria and Jenny, respectively, demonstrate an amazing range in their acting skills as they seamlessly transition from comedic to solemn to frustrated then back to comedic – one of the many pleasures in their performances overall. The cast/characters try to figure out their play within a play in Act II. I forewarn you now that the third act will confuse, entertain, frustrate and satisfy you – sometimes all at once. 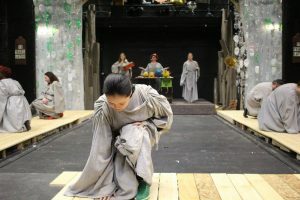 The absurdist, surreal, and even Dada elements of the play come to a crescendo in this act that shows the retelling of “Cape Feare” some 75 years down the road. 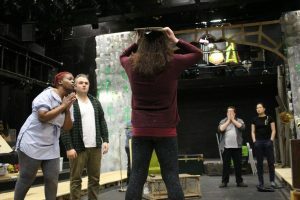 What you will find is subjective to each individual audience member, but I assure you that your discovery – like the rest of the play – will be genuine, hilarious, and even profoundly sad. One of many climactic moments in the final act includes an interlude when Bart (Kawahara) and Lisa (Shawneen Rowe) sing an adaptation of “The Flintstones” introduction to Mr. Burns (Miller) about messing with the Simpsons. In this moment, “The Flintstones” tune mixed with “The Simpsons” characters reinforces the play’s central message that popular entertainment, those works of art that infiltrate our lives everyday in seemingly insignificant little ways, are the real works that will carry us through our darkest times. “Mr. 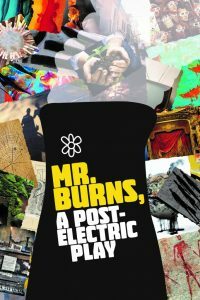 Burns” runs at VU Theatre Feb. 6-10 and Feb. 13-17 at 8pm and Feb. 11 & 18 at 2pm.